Authors include Richard Averbeck (OT and Counseling), Kevin Vanhoozer (theology), DA Carson (NT), and Stephen Greggo and Miriam Stark Parent (Counseling). 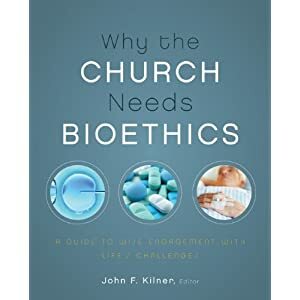 In addition, there are business, law, medical, education, pastoral care, bioethics, and intercultural ministry authors. I got a little chance to play a part in this book as a “critiquer” (p. 9) Stephen Greggo authors chapter 3, “Wisdom from Counseling” as a counseling response to the case study of Betty and Tom, a couple who are considering using Betty’s sister’s eggs and Tom’s sperm and to implant embryos into Betty. I got a chance to read and react to this chapter some time ago all because of a little article my wife and I wrote in 2002 and published in 2005. A recent search of the leading peer-reviewed journals that inform Christian MHPs [mental health providers] and pastoral counselors yielded only a single article to guide a Christian counselor who might be dialoging with Betty and Tom. Their footnotes reveal that they searched The Journal of Biblical Counseling, The Journal of Psychology and Christianity and the Journal of Psychology and Theology between the years 2000 and 2009. I find it surprising that there are no other articles than ours (full text here) and gratifying to see our essay summarized in this volume. While there are a number of good full length books, there is a serious need for good Christian counseling articles dealing with infertility and assisted reproductive technology (ART) because this is where many counselors start their study on a given topic. Receiving mercy leads to…bold sin? You’ve just been caught doing something unlawful and harmful to others. You are stopped by the authorities. Time passes and you realize you will not be held accountable for your crimes. There will be no court case. There will be no punishment. Would this make you more likely or less likely to continue your criminal activities? My wife is reading a biography of US President Andrew Johnson. Johnson was VP under Lincoln and thus became president after Lincoln’s assassination. Johnson was roundly hated by both abolitionists and southerners. Fellow southerners saw him as a sell-out and abolitionists hated his obvious racist beliefs. The biography noted that southerners were quite worried that they would face many northern reprisals for their actions during the Civil War. Not only were these reprisals not forthcoming, Johnson provided clemency to many of Confederate leadership. The biographer points out that when it was clear that individuals weren’t going to be held accountable, there seemed to be an increase in racial hatred and violence against freed slaves. I know post Civil War politics was more complex than my simplistic statement above. And yet, consider this: can mercy embolden more sin? In fact, it may provide that temptation to sin more. Consider St. Paul’s comments in Romans 6. Do we sin more since we receive grace? Apparently, he felt the need to comment on this because we might be inclined to think that a free pass allows us to keep on going down the wrong road. Just in case you think I’m suggesting we shouldn’t be merciful to sinners, I am NOT saying that. I’m grateful for unmerited favor in my life. I need more of it. However, let us be careful to recognize that mercy may produce in us something other than humble repentance. Regular readers of this blog will know that I believe that Christian counseling is not merely counseling done by Christians or merely the use of specific christian interventions. Rather, Christian counseling is founded on Christian/biblical ways of perceiving the world, the problems in it, and the goal of imaging Christ from start to finish. However, it is good to think about the specific use of certain christian practices in counseling: meditation, prayer, bible reading and application, casting out demons, absolution, etc. How are we to think about these practices? Do they have a place in professional counseling? What are limits we ought to place on them? When should we refrain? How do we secure informed consent? Elsewhere I have published on the guidelines we ought to consider when using Scripture in counseling. I will not repeat them here but for those who have not read that article, I do think Scripture is something that CAN be used in counseling–even OUGHT to at times. What is of more importance to me is HOW and WHEN and WHY. Let me here consider the most commonly used practice: prayer. Here are some shaping values before we consider any practical application. 1. Prayer is talking and listening to God. It is not a technique and should not be treated as such. It is not magic. It is, from a Christian perspective, sharing one’s heart, praising, questioning, interacting with the Creator of the universe who remarkably wants to relate to me. At its heart prayer is submissive acknowledgment of God–even when praying like Job. 2. Prayer then needs to be a free act without trace of coercion. The one praying must not be coercive (you talk to God not at another person). The one being prayed for ought not feel obligated to say anything. 3. People have diverse (and not always happy) experiences regarding prayer, faith, relationship with God, etc. So, what is comforting to you may be triggering for another. 4. Prayer is intimate. Prayer often results in our setting aside defenses and becoming vulnerable and needy. 5. Prayer is power. Praying for someone gives the one praying a position of power. So, how might a counselor consider these values and use prayer in counseling. 1. Assessment of client. What is my client’s faith tradition, experiences with prayer, history of abuse by leaders of the church, understanding of God? Have they ever felt coerced to pray, coerced by the prayers of others? Have they been publicly prayed against? Do they value prayer? 2. Assessment of self. Why am I praying for my clients (out loud)? What messages am I trying to communicate? What do my prayers reveal about my own faith? 3. Consent. Have I explained why I pray for my clients? Do they really have the right to say no? 4. Review. How are my prayers received? What impact, if any, do they have? What does this look like for me? I don’t pray with every client. I don’t choose to start my sessions with prayer (at least the first one) until I have a better sense of my client’s experience with prayer. I work very hard not to use prayer as an effort to disarm (though I think it can do this) or to preach a message, but only to make supplication to God for healing, for care for the downtrodden. When I use imagery in prayer I make sure that it is grounded in common biblical images (God as shepherd, Christ as lamb, etc.). I never ask clients to pray but many of them choose to do so. And, I do let clients pray for me when they want to. It is part of how believers care for each other. I do believe that prayer is extremely important but that I do not need to do it to be actively asking God for healing or guidance. I will say that when conflictual couples pray, they often find that it is hard to stay angry and embittered and pray. It can be helpful, either in reducing bitterness or by discussing bitterness and its impact. It should not be used when clients do not want it, might be confused by it, or if it is not authentic to the counselor. It is considered good professional ethics to utilize resources from a client’s life. However, it would not be good to fake (e.g., my praying in a way that would please a member of a cult, an atheist praying as if he or she believed what she said, my talking to God even though I am no longer practicing as a Christian, etc. ).